I’m back with my weekly post, Two Tips Tuesday. I’m always interested in hearing from my readers, so if you have any suggestions for tips or questions in general, please e-mail me at Lindsay [at] pursuitofpink [dot] com or leave a comment below. If you saw my guest post on Heart Shaped Sweat, you know that I am crazy about a makeup primer. This is a relatively new find for me, but I love it. By using a makeup primer, my makeup stays put ALL DAY with barely any touch ups. Plus the primer (combined with my mattifying lotion) drastically cuts down on shine. Adding a makeup primer to my daily routine has been terrific, especially on Sundays. I get up quite early on Sunday mornings (4:45 a.m. to be exact) and my makeup still looks flawless by 5 p.m. Click here to purchase the primer I use and be sure to click this link to read my full thoughts on the primer. Send a letter via USPS more often. Raise your hand if you like receiving mail that isn't a bill, an ad or junk mail? Keep your hand raised if you love Christmastime and all of the fab Christmas cards you receive from friends and family? Yep - I see you all and my hand is still raised too. In this extremely digital world we live in, written cards and letters have drastically diminished. It takes only a few minutes to write a sweet note to a friend or family member and tell them that you love them. And when they check their mailbox, I guarantee they will flash a smile when they see your thoughtful card in their stack with bills and other items that they just want to trash. So go ahead, write a thinking of you card, send a thank you note, send a Valentine via USPS. It will make someone's day. Great tips! I love my makeup primer too!! I love eye primer. I don't wear face makeup often enough to use it all over. I am all about MAIL! I love getting it and I love sending it. I really think people should be doing this more often than just send an email. It's so much more personal :) Plus, there are so many cute note cards out there! I have always sent mail. I love getting it to. Email is far to impersonal and means the person is not worth any effort. If you mail a special card or letter it shows you have class and that you care. I always take time to find a special card that means somemthing personal to those I am sending it to. My tip for the winter skin months: Mix a pea size of your bronzer with your moisturizer. It gives you a nice glow. love snail mail! i consistently send thank you cards, birthday cards, or even letters! love getting mags and fun notes! 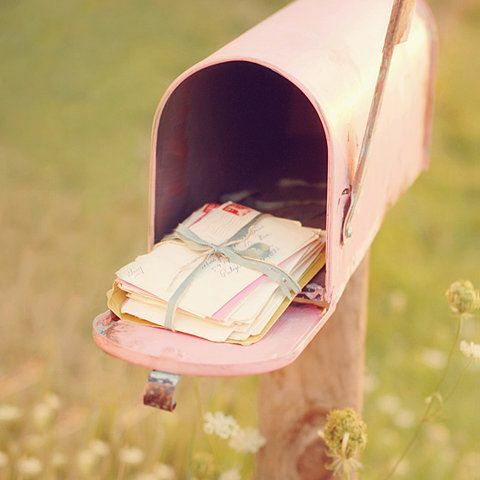 As a wife of a Soldier I adore letters!!!! !